*Updated to reflect books that have been on my TBR list/bookshelf for a year or longer! For example, though I only just added Unaccustomed Earth to my Goodreads, I’ve owned a (signed!) copy of it since 2009. The Immigrant Stories Challenge, hosted by Books in the City. Read 1-3 books pertaining to any immigrant experience by December 2013. The New York Challenge, hosted by softdrink at Fizzy Thoughts. Read one book–any book–pertaining to New York City by May 2010. 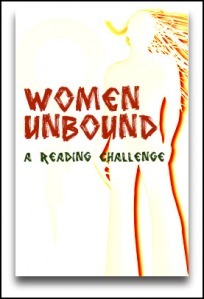 The Women Unbound Challenge, hosted by Aarti, Care, and Eva. Read fiction and non-fiction that falls into the category of women’s studies–works that focus on the social status and societal contributions of women, as well as tackle issues of gender and power. The Mexico 2010 Reading Challenge, hosted by Sylvia at Classical Bookworm, encouraged participants to read 3 works of Mexican literature, history, or non-fiction. Thanks for adding me! I appreciate it. And I know how to count, I swear 😉 I’ll correct my list right now! Looking forward to participating in the challenge! I’ve been meaning to read A Fearful Symmetry and White Teeth too. Wish I put them on my TBR Pile Challenge list! I’ve read a few of the others on your list and they’re well worth reading. Good luck! I loved the Name of the Wind, enjoyed The Lone Ranger and Tonto Fistfight in Heaven, A Fearful Symmetry was interesting. Good Luck. The Name of the Wind is such a good book – I just read it a couple months ago. Have a fun challenge! I can barely handle one challenge a year- kudos for trying multiple challenges! People of the Book is amazing! I know it’s an alternate for you but read it if you can- it’s worth the time. 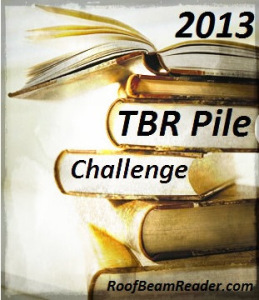 I did the TBR Pile Challenge in 2013 and really enjoyed it. The feeling of finally reading some of the books that have been on my shelves for ages is great! Glad to hear that People of the Book is a worthy read–I will definitely try to fit it in!